Monkey Bar is a spot where customers can play pool & enjoy fun snacks such as super-stretchy mozzarella balls. H&T stands for Hungry & Thirsty. It’s right to head here ravenous, since the grub is good. KL’s nomadic cocktail bar has moved again. As the year edges to a close, CK & his merry band of mixologists are now back in Bangsar, setting up shop at the back of DR.Inc cafe this time, equipped with exciting new ideas. Ruyi & Lyn at Bangsar Shopping Centre can easily be described as a glamorously clandestine establishment that spans 22,000 sq. ft.
Sip lives up to its name, serving value-for-money wine buffets every evening – it’s an unbeatable bargain; customers can enjoy up to 20 different wines nightly (except Tuesdays) at only RM64 nett per person, from 5pm through 1am. With a soaring 32nd-floor view that takes in both the Petronas Twin Towers & the KL Tower, Elysium’s cushion-filled outdoor lounge offers one of the city centre’s most scenic settings for kicking back over cocktails. 44 has a new address: KL’s favourite pop-up cocktail bar has shifted from Bangsar’s APW warehouse to an even more shadowy & secretive corner of the city, occupying a first-floor, back-alley space behind the former Asian Heritage Row. 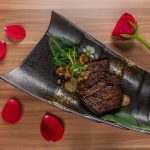 Opening this month at BSC, Ruyi & Lyn is a rather unique and relatively bold restaurant, serving contemporary East Asian concoctions in a cavernous space hidden at the back of the mall’s fourth floor, seemingly accessible by only one escalator. The Great Beer Bar in Damansara Uptown could become one of PJ’s favourite watering holes. The Bar boasts its own kitchen, helmed by two separate independant teams with years of experience in KL’s F&B landscape. The heat is on at Hubba Hubba: Chef Izal and his team are fanning the embers of excitement at the city centre’s party hub with their new menu of protein-powered, barbecued skewers with stirringly inventive sauces and stomach-pleasingly unlimited sides. Here’s a peek at Club Platinum 21, on the 21st floor of The Icon on Tun Razak.